Location. 39° 44.308′ N, 77° 28.76′ W. Marker is near Monterey, Pennsylvania, in Franklin County. 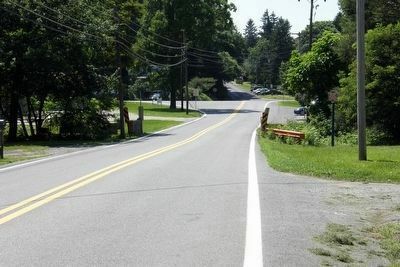 Marker is on Charmian Road 0.1 miles east of Buchanan Trail East (Pennsylvania Route 16), on the right when traveling west. Touch for map. Near the entrance to Rolando Woods Lions Club Memorial Park. Marker is in this post office area: Waynesboro PA 17268, United States of America. Touch for directions. At the time of the battle, Maj. Charles Capehart led a charge of the 1st West Virginia Cavalry over the wooden bridge here. He would be awarded the Congressional Medal of Honor. Marker and park entrance visible to the right. shouting distance of this marker); a different marker also named The Battle of Monterey Pass (within shouting distance of this marker); a different marker also named The Battle of Monterey Pass (was within shouting distance of this marker but has been reported missing. ). Touch for a list and map of all markers in Monterey. 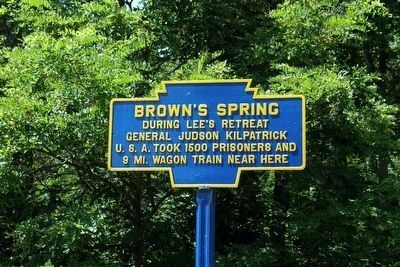 Regarding Brown's Spring. The action referred to on the marker refers to the Battle of Monterey Pass. 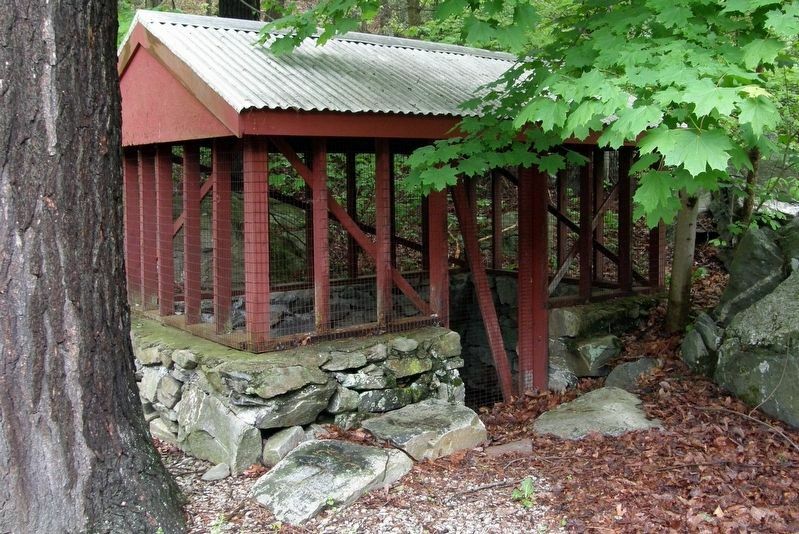 The springhouse is located towards the back of the park near a picnic area. 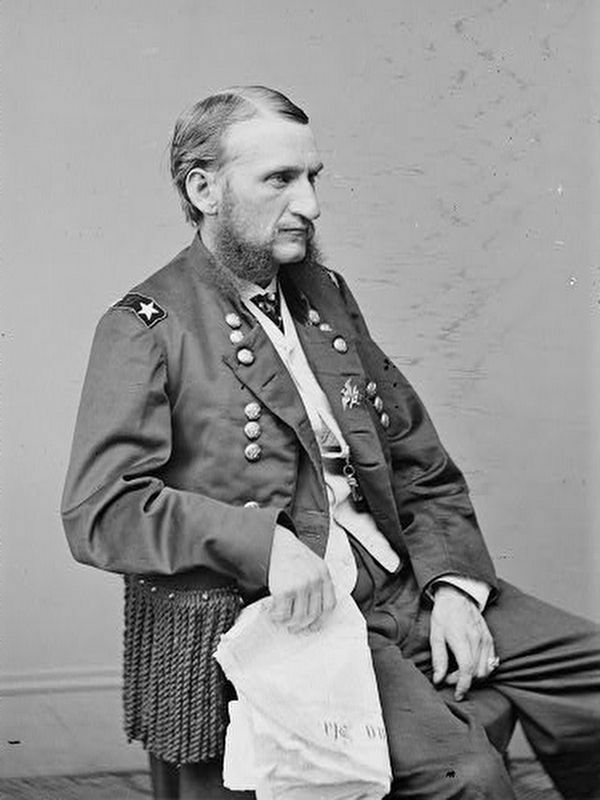 File from The Photographic History of The Civil War in Ten Volumes: Volume Four, The Cavalry. More. Search the internet for Brown's Spring. Credits. This page was last revised on May 18, 2017. This page originally submitted on October 23, 2015, by Larry Gertner of New York, New York. This page has been viewed 370 times since then and 11 times this year. Last updated on October 25, 2015, by Larry Gertner of New York, New York. Photos: 1, 2. submitted on October 23, 2015, by Larry Gertner of New York, New York. 3. submitted on May 15, 2017, by Larry Gertner of New York, New York. 4. submitted on September 5, 2016, by Mark Hilton of Montgomery, Alabama. • Bill Pfingsten was the editor who published this page.